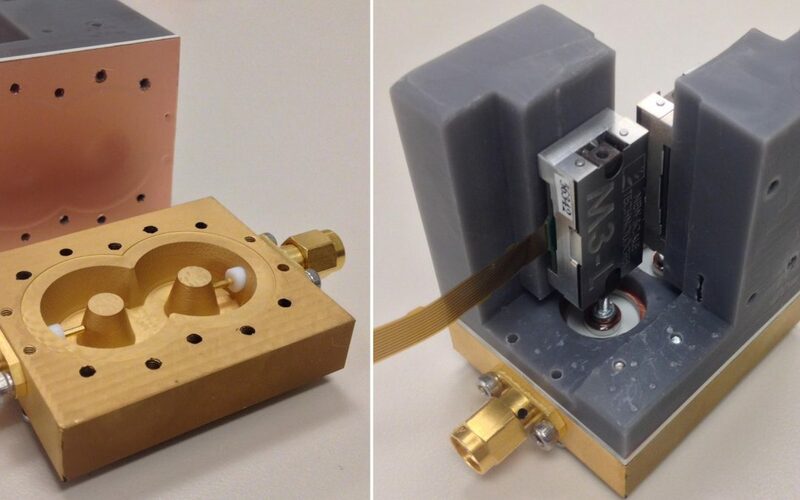 Researchers at Purdue University have demonstrated a high-Q tunable bandpass filter machined from ABS plastic, using an M3-L Linear Actuator from New Scale Technologies for tuning. The machined prototype shows a high-Q from 500 to 700 and a 91% tuning range from 2.2 to 4.2 GHz. The prototype tunable filter is a precursor to mass production of low-cost, high-performance microwave devices that meet the demanding requirements of future 5G networks. Production can be scaled up using injection molding and New Scale’s UTAF Ultra-Thin Acutator Family to provide the speed, repeatability and stability needed. Results were presented at the 2018 IEEE Wireless and Microwave Technology Conference (WAMICON) in a paper, A 2.2 – 4.2 GHz Low-loss Tunable Bandpass Filter Based on Low Cost Manufacturing of ABS Polymer, by Michael D. Sinanis et. al.